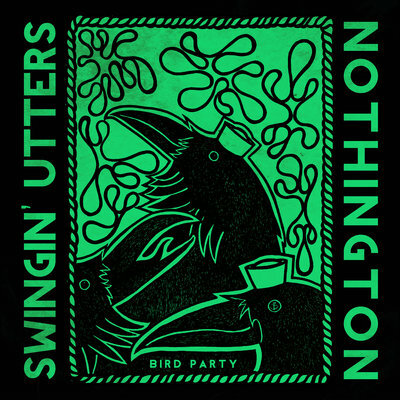 The final release from Nothington and they’re lucky to pair up with fellow San Francisco punks, Swingin’ Utters. Two SF legends! And speaking of badass combos, on the Utters track we have a rowdy duet with Johnny Peebucks and Jack Dalrymple. Meanwhile, on the Nothington side, we have a bittersweet farewell that features Chris and Jay trading vocals one last time. Oh, but don’t get too emo about this sad sendoff ‘cuz both sides of this 7” are loud and fast. It’s Haight AND Ashbury. It’s Montana AND Rice. It’s chowder AND the sourdough bread bowl! "The Lies I Need" comes from Nothington's latest album, "In The End", out 2/17/17 on Red Scare. The video was put together by Guitarist/Vocalist Chris Matulich (nice work, Chris!) and was premiered in January of '17 by the folks at Alternative Press. LIVIDITY Set to Return With "Perverseverance"